Installing a solar pool heating system is a very effective way to save money and reduce your environmental impact. 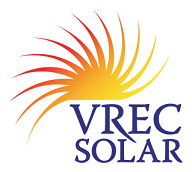 VREC offers sales, design, installation, and repair services for Solar Pool Heating Systems in the Surrey and White Rock area. 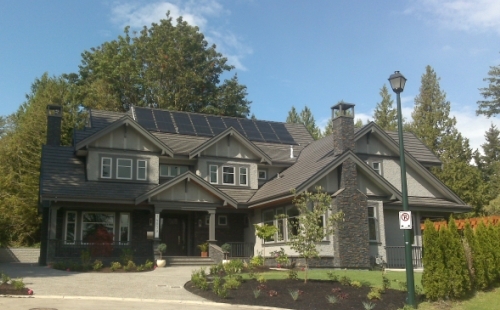 We have installed or serviced systems throughout Vancouver’s Lower Mainland, including the cities of Vancouver, Burnaby, Port Coquitlam, and South Surrey (Whiterock.) Our service area is throughout the Lower Mainland including the near-by islands. Please Contact Us, or call 778.869.8333, if you would like a free quote, have any questions, or would like further information. To evaluate a potential project in terms of energy production and financial pay-backs, please consider booking an Assessment. Solar pool heating installation by VREC in south surrey. A valve is installed on the swimming pool lines to divert the pool water through solar pool panels, absorbing the heat from the sun and then re-entering the swimming pool. A controller uses sensors determines whether there is heat to be gained in the solar panels, if not it will bypass the solar loop. It’s that simple and it works great. Chances are your neighbourhood has many solar swimming pool heaters already installed. In Metro Vancouver, the total area of the collectors is usually sized to represent 75-100% of your swimming pool area, depending on the sites environmental conditions (e.g. 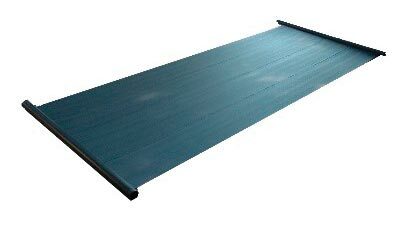 is a pool cover used, is there much wind exposure, etc.) 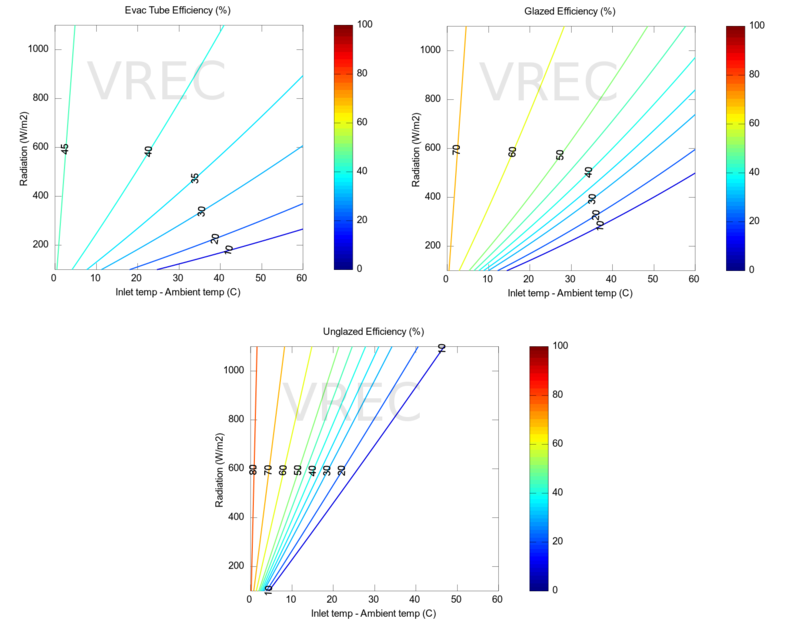 VREC determines the ideal location of the panels to maximize the systems energy production. The panels used are unglazed (pictured below) and are ideal for summer systems. If you use your pool year round we will tailor the system for your use. A sample solar pool panel supplied by VREC. Our preferred solar pool panel technology is Powerstrip. The Powerstrip system is very robust, reliable, and maximizes the installation area and design flexibility. The panels have one of the longest warranties in the business and are even easily repairable in the highly unlikely event that they should be damaged (unlike polypropylene solar panels.) They are manufactured in BC’s lower mainland. Powerstrip solar pool installation by VREC. The simple and basic design is why solar heated pool systems are so affordable. They’ll also have a very large impact on your heating bill. As any pool owner knows, heating a pool requires a lot of energy. So why not capture some of the sun’s abundant and free energy. Along with your heating bill reduction, will be a significant reduction in your GHG emissions. If you choose to get an Assessment, instead of just a quote, we provide you with a performance, financial, and environmental analysis of a proposed design. How well does it work in Vancouver? 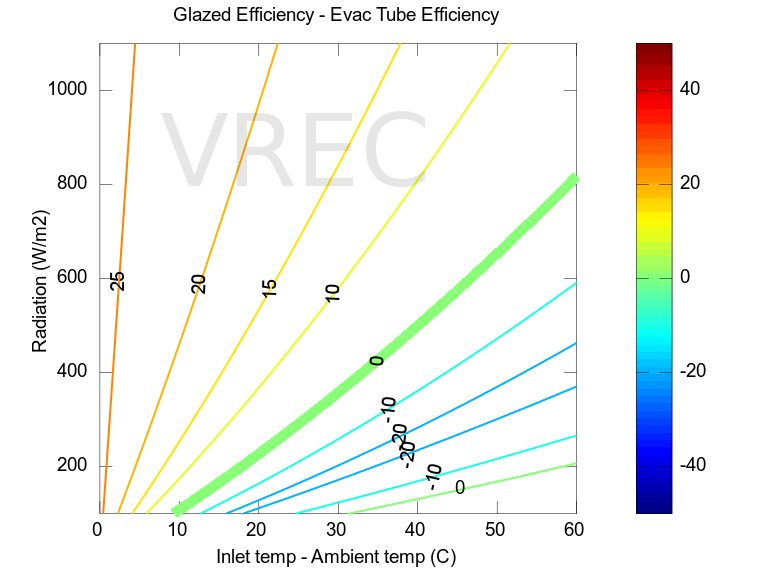 The below curves represent a typical 16×32 inground pool with a little shade (25%) heated or not with an aged solar cover and a eight 4’x12′ solar collector system (75% of pool surface). It was assumed the cover would always be on the pool 20 hours a day and for 4 hours the cover would come off (for the 2 plots with covers) and moderate pool activity would occur. 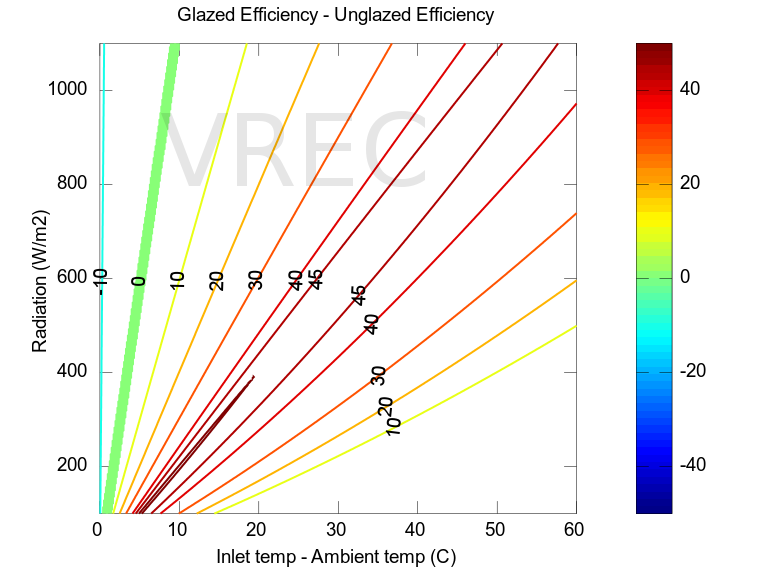 The graph was created by Hot Sun Industries using Enerpool solar simulation software. 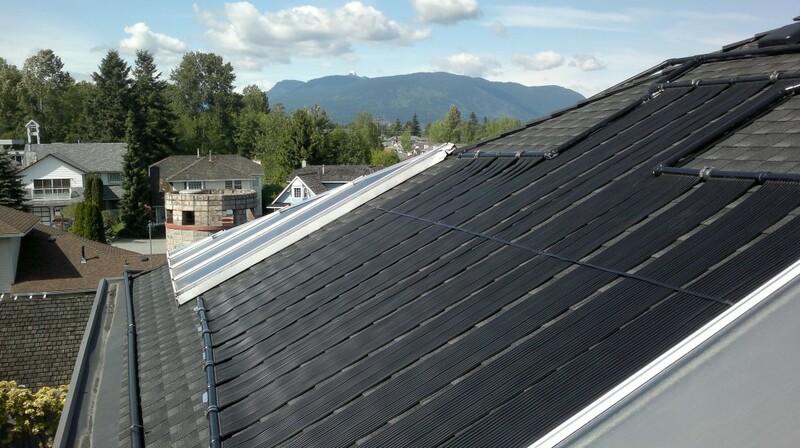 Typical Vancouver solar pool performance. What is the typical total installed cost? Solar pool installs typically range from $4,000-$11,000 depending on how large is the system, if a controller is installed (highly recommnended,) roof arrangement, how much plumbing is required, etc. What is the energy payback of the solar pool panels? It has been estimated that a 4’x12′ polypropylene solar pool collector requires 12kg of natural gas and petroleum to fabricate. This gas and oil is equivalent to 120kWh of energy. The 4’x12′ solar pool collector should produce 120kWh of energy is less than TEN SUMMER DAYS. 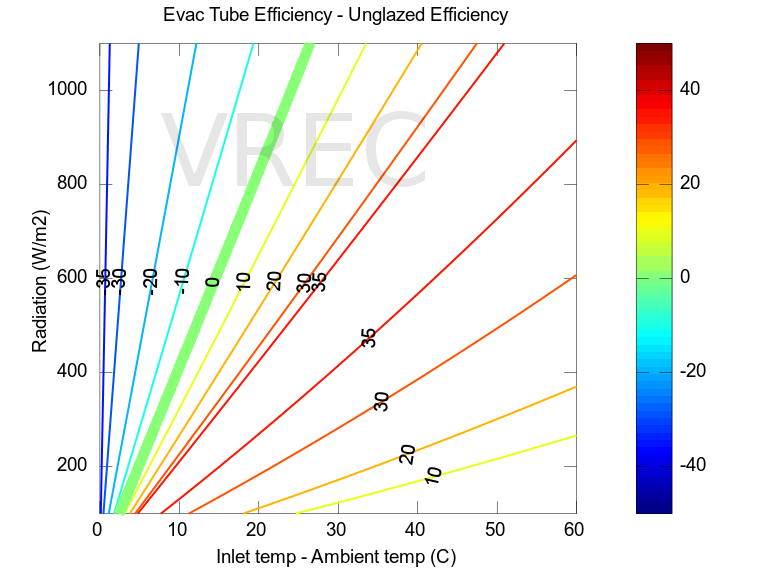 How well can the system be expected to perform? -The system typically take 3-5 days to reach their maximum pool temperature and maintain that temperature. -Solar pool heating systems typically heat pools 8°C degree warmer than non-solar pool temperatures. By adding a pool cover, the pool can be heated 10°C-14°C higher that normal non-solar pool temperatures. 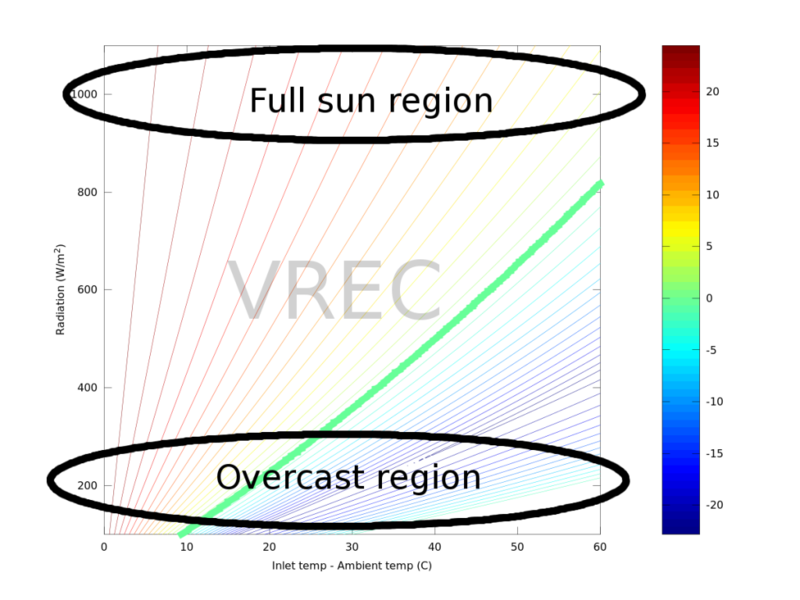 -The system should maintain that temperature increase based on average local weather conditions. -A rough rule of thumb for comfort is to expect the solar pool heating system to allow you to enjoy swimming in the pool as long as the weather conditions don’t require wearing a sweater or coat. After which you are going to need a removable pool blanket and backup heater. Of course, if the system is undersized (for example, a large pool with limited roof space, or budget constraints) the system will underperform. It will still efficiently collect energy and be cost effective, it will just underperform giving the sense that it’s not working well. The common rule of thumb for sizing is you will get a 1.5°C temperature increase compared to an unheated pool, from each 20% of the pool surface area that you put up in solar collectors. What maintenance is required for solar pool heating systems? Solar pool heating systems require little or no maintenance since there are no burners and only one moving part (the actuator on the diverter valve.) It is worthwhile to note that gas heater or heat pumps require more maintenance and normally last 1/3 as long as solar pool heating systems. The system will have to be “winterized” and then re-activated in the spring. “Winterization” consists mainly of deactivating the solar on the controller and draining the solar piping lines.